As a private college, Huntingdon depends on the support of alumni and friends to make an exceptional liberal arts education affordable for our future leaders. There are many ways you can give to Huntingdon College. Gifts of time and talent are always very much appreciated. Gifts of dollars can be contributed to the Huntingdon Fund (easily and securely online). 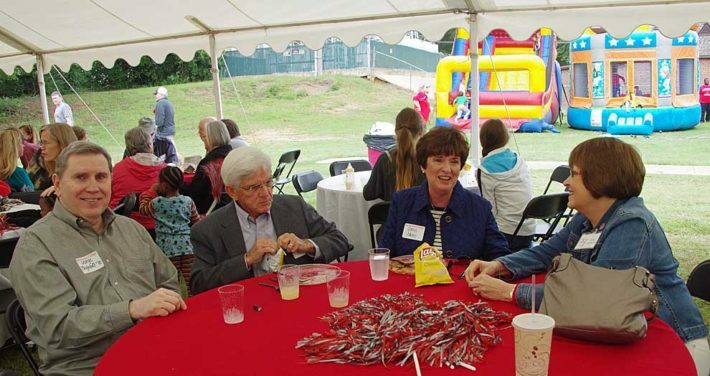 Scholarship endowments make it possible for more students and families to be part of the Huntingdon experience. Planned giving opportunities allow benefactors to designate funds the College may receive from their bequests. Huntingdon appreciates your generous gifts, which make it possible for the College to offer the educational experience for which we have long been known—academically strong, spiritually supportive, and connected to the world’s needs and to each student’s future.